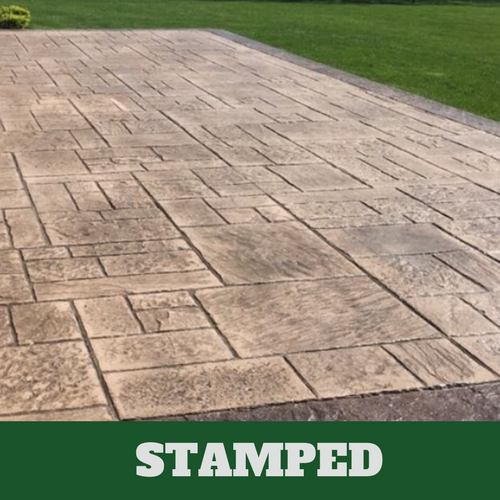 ​At Evanston Stamped Concrete we have been receiving more and more requests for stamped concrete. 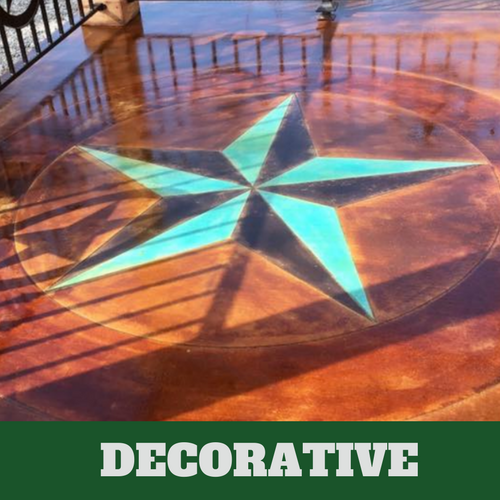 Homeowners are either seeing others stamped concrete work or they have read about the many advantages and have decided to try it themselves. We install in your homes, businesses, restaurants, and retail establishments. You can have it installed on floors practically anywhere. 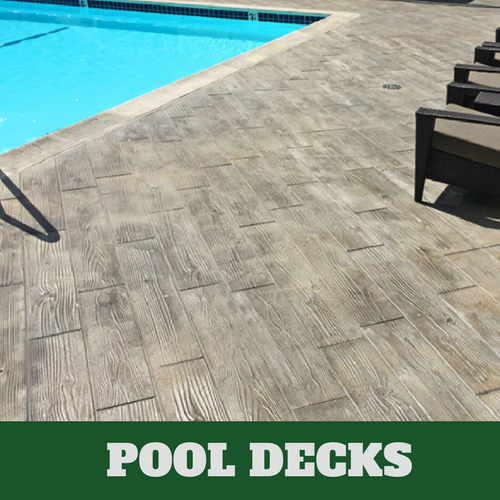 Stamped concrete flooring makes an otherwise boring floor come to life when the right design is chosen. 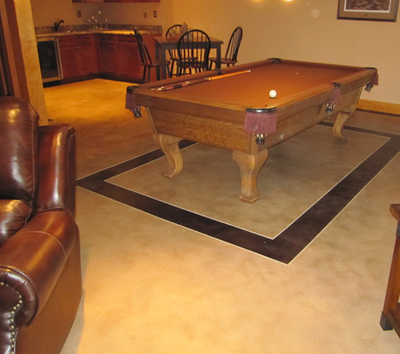 Your floors don’t have to look like everyone else’s when we can install something that is unique to your situation. Allow our contractors or associates discuss the various choices that are available to you by calling us today for your complimentary consultation. Once they discuss your options and discuss their many advantages, we are certain that you’ll see how these benefits can affect you. 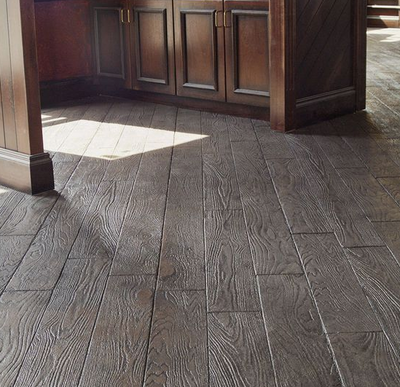 This type of flooring is very durable, making it a great option for any place in or around your property. 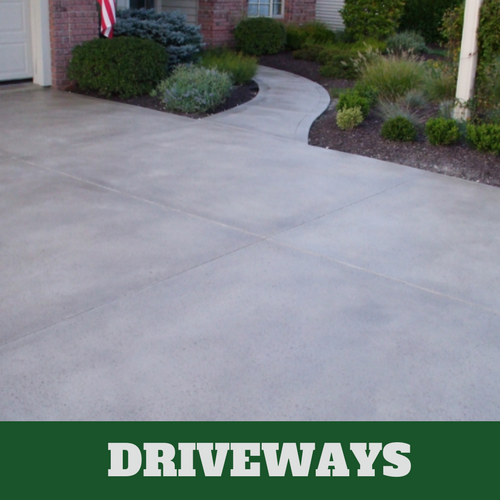 When a color hardener is applied, it makes the surface even more durable and helps to prevent cracks and abrasions. It even helps to prevent water from getting underneath the concrete. We'll also apply a protective sealer to your floors, which will further aid in your being able to keep them around for a lot longer. 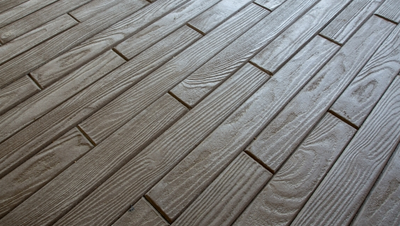 Stamped concrete will help you avoid dirt from building up too quickly and prevent oil and grease from getting under your flooring. 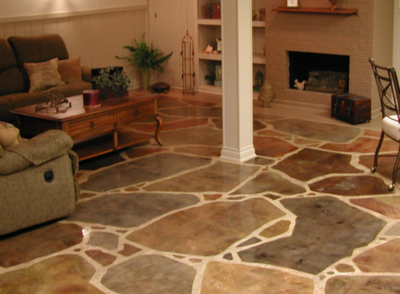 With a sealer on your floors, it will also help in the maintenance of your floors. 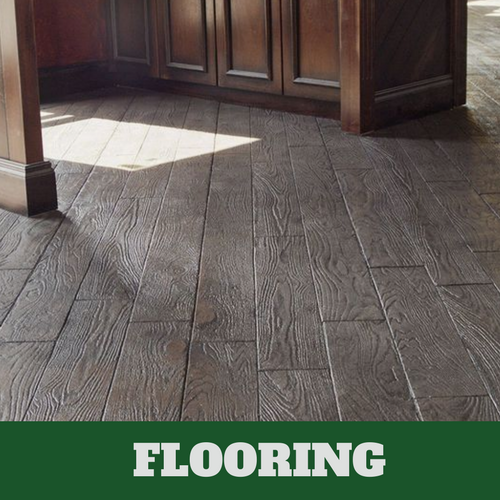 It also helps to bring out the natural beauty of your floors and prevents fading. 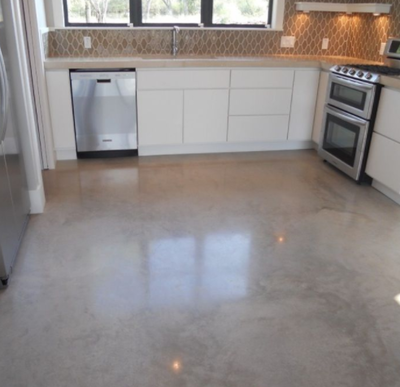 You can keep the lovely pattern of your floors simply by polishing them occasionally. The pattern can eventually begin to fade slightly due to the amount of foot traffic but a polish can help slow this down. 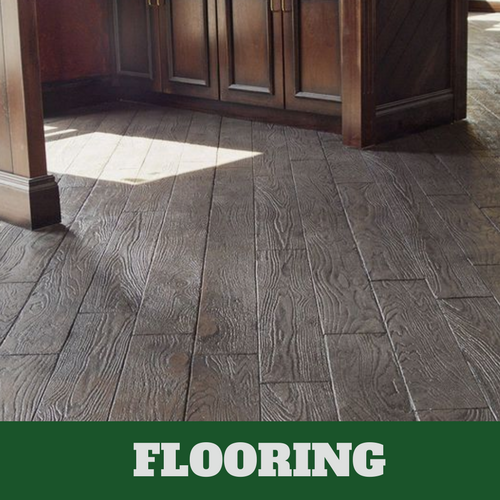 When your floors are sealed, it still helps to keep them clean. 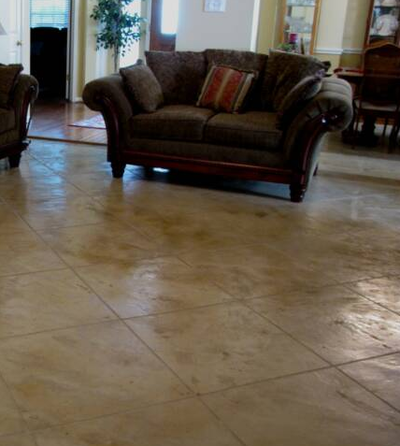 Taking a mop and going over your floors from time to time will help you maintain their look. 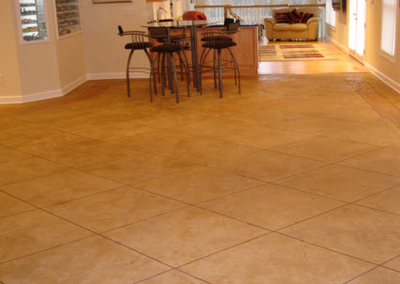 ​If you are currently dealing with dull floors, contact Evanston Stamped Concrete and we’ll come right over and seal your floors for you. 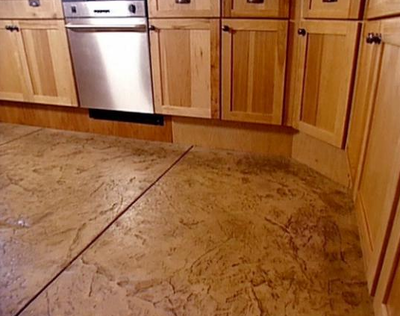 This is another way to maintain the appearance of your stamped concrete floors. With the help of our professionally trained and qualified contractors, we can have the job performed for you the same day you contact us. 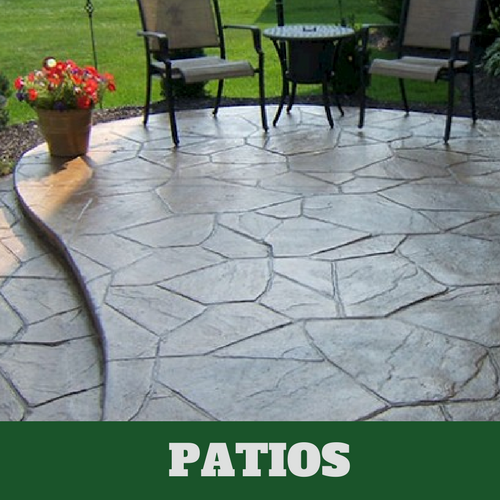 We work quickly to address your service needs at Evanston Stamped Concrete. Why should we give someone else the opportunity to provide you with beautiful new floors when we are ready, willing and able. Contact us to ensure the job is done right. We stand by our work by offering you our service guarantee.